This Coppeneur bar was something I picked up in Berlin having never had the chance to purchase one before. There was a fantastic shop with all sorts of different bars and this was one of them. I was unsure about the forastero bean as it is a bean that creates a chocolate which is earthier, woodier, and spicier than I usually like. Add to this the delicate point at which roasting becomes over roasting and you have a combination that often leaves a bitter, unpleasant dark chocolate all too easily. This bar starts off a little tough. There is a strange flavour as though there is some sort of soya lecithin in the bar (not listed) and maybe a bit of something else. The chocolate is reluctant to melt in the mouth and as it does there is a release of spice initially followed by deeply earthy flavours. I’m struggling a bit with this bar. The faint hint of red fruit is overwhelmed by what tastes like they over roasted a few beans and burned them. The spice is difficult to extract and it feels like a lower cocoa butter content bar. 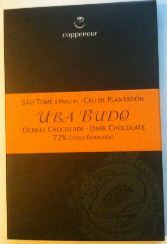 Slightly hard dark chocolate with a bit of a harsh edge and yes I am being hard on this chocolate. It is being sold as a top notch chocolate and it is, but I think they are fighting the growing conditions here as well as the bean itself. 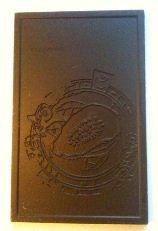 All in all it is a top notch chocolate and someone who may be more inclined towards a woody, earthy chocolate bar will enjoy this. Not to my liking and I think there are improvements that could be made (unless that hint of burning is normal) but overall a top notch bar.